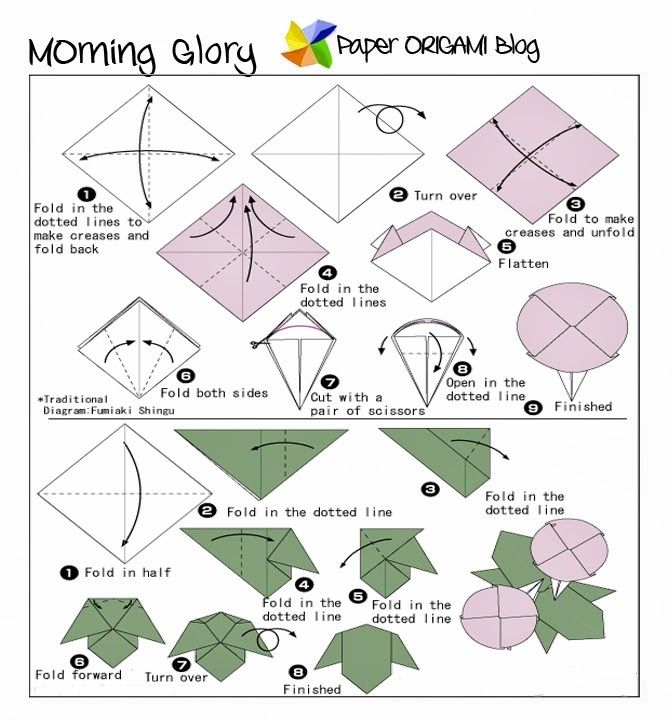 Morning Glory Origami- Today let us learn how to make origami flowers. 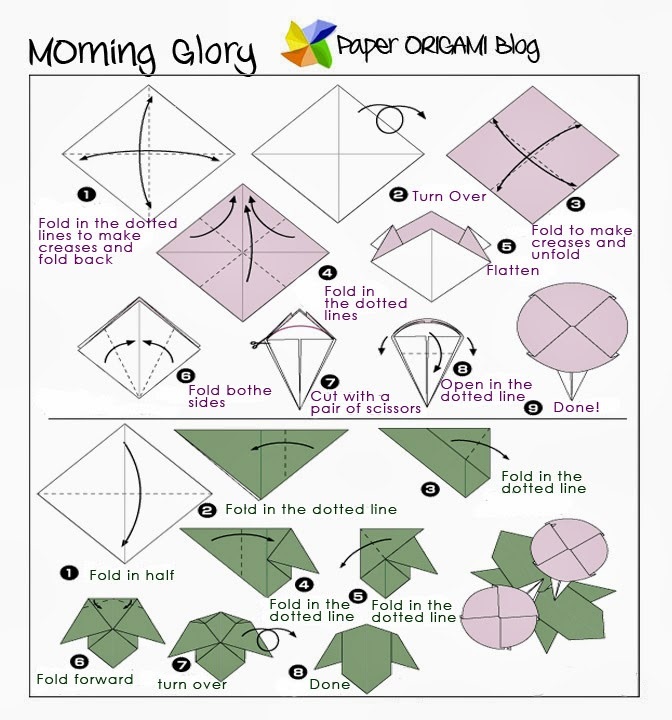 Below is a free diagram of morning glory. Morning glory is a common name for thousands of flowering plants. It has different genera. In the ancient time this flower was used as a medicinal plants specially in China. In Japan, morning glory was used as an ornamental plants. Other family of this plants has contribution also in culinary. But now it is your task to do its Origami. Follow carefully the diagram below. 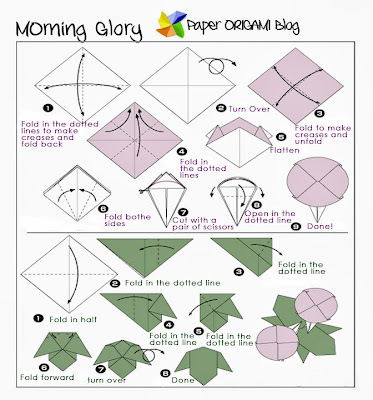 This origami is just a simple one not complicated. Compare your result above. Enjoy!